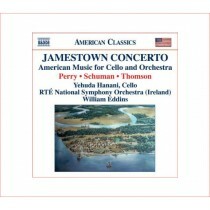 This recording presents three important yet infrequently heard American cello works. 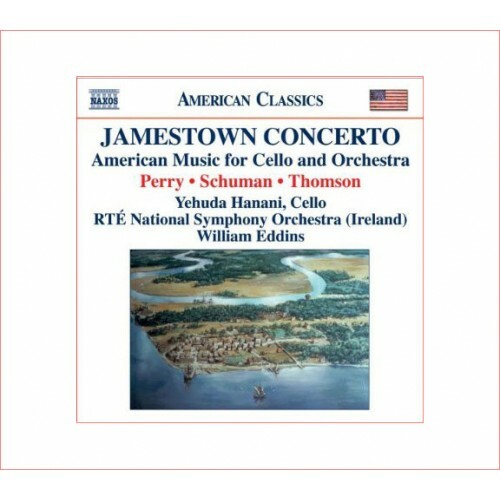 It is the first modern recording of William Schuman’s A Song of Orpheus; the Virgil Thomson Concerto for Violoncello and Orchestra in its original full orchestration has not been recorded since the 1950s; and William Perry’sJamestown Concerto is receiving its world première recording. All three composers worked extensively in art song, opera or musical theatre, and their concertos, while technically demanding, emphasize the lyric qualities of the cello, the instrument that most closely identifies with the human voice. The music is distinctly American, optimistic and outgoing, while intentionally touching on the roots of the American experience.